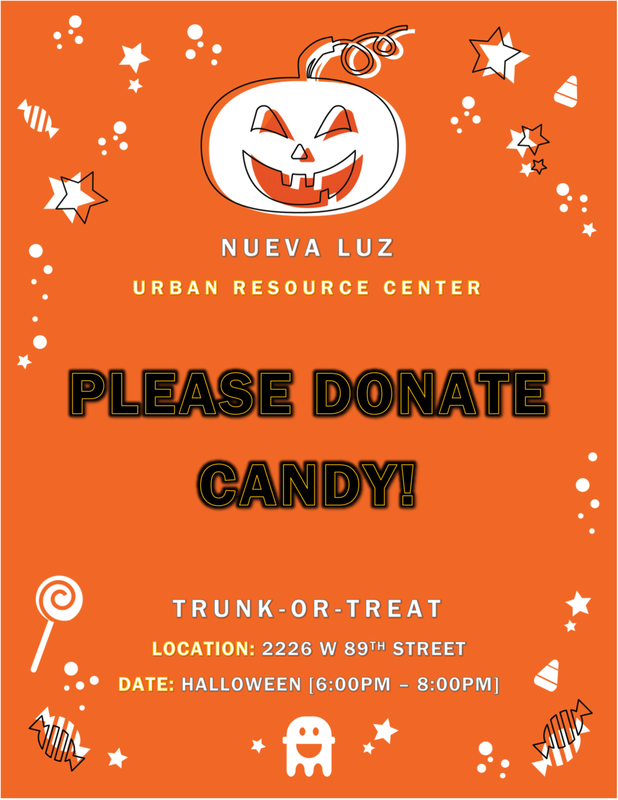 Every Halloween night Nueva Luz Urban Resource Center hosts Trunk-or-Treat! Over 30 volunteers hand out a variety of different candies and sweet treats from the trunks of their cars all night long in a safe and welcoming space for children of all ages. If you have any candy that you would like to donate to this event please stop by our offices or reach out to us at your earliest convenience.